Hôtel nouvelle fantastique sur la meilleure partie de Chaweng. Le petit déjeuner incroyable. STAF très amicale et serviable. Nous avons réservé une dreamroom dans le bâtiment principal. chambres très Nice mais un petit peu. Réserverons ici againg si nous allons revenir à Samui. Simple yet lively with an incredible sleep experience. Comfort and convenience complemented by amazing views - OZO Chaweng Samui style. A beach-front setting, trendy rooms, modern technology, services and facilities you actually want, local food you really have to taste, all expertly combined to give you the perfect break. Adventure packed holiday or mellow getaway? You choose the pace. Located on Chaweng Beach Road, we're just close enough that you feel the buzz yet far enough to get away. Only 15 minutes from Samui International Airport or a short walk to central Chaweng, our resort is your ideal base. We're the cozy haven you're searching for, giving you that perfect night's sleep you always crave. You won't be missing your bed when you're with us. That's a promise. Clean cut, understated, simplistic but incredibly comfy, our 208 rooms and suites at OZO Chaweng Samui have been designed to make sure you always have a good sleep, day or night. Soft beds and black-out curtains ensure the deepest of slumbers or refreshing midday naps, while modern amenities including flat-screen cable TVs, multimedia panels and free Wi-Fi keeps you connected. A small balcony, shower with Breeze Spa amenities, and coffee and tea making facilities complete your home in Samui. You won't need to feel bad about having a lie-in here. In fact, it's a must! Cozy and comfortable, our Sleep rooms will give you the perfect night's rest after a day in the sun or a night out on the town. Laze around on your terrace or sink (Literally) into your plush bed and have a good rest. You'll wake up feeling energized and ready to take on Samui. It's not just the hours that count for us, but your sleep quality too. With a small balcony overlooking the pool or glimpses of the ocean below, our Dream Room offers simply sublime beds, flat screen TV, multimedia panel complete with USB and HDMI ports, a walk-in shower with Breeze Spa amenities and free Wi-Fi. We'll set the scene, you bring the dream . . . and your swimmers too. A picture may paint a thousand words but trust us, the fantastic sea views from your terrace will paint much more. Choose our Dream Ocean and let the calm of the ocean send you into a deep sleep after a day of worshipping the sun. Want to kick back for a bit or kill a couple of hours? Stay in, because you've also got a flat screen TV, multimedia connectivity and free Wi-Fi access to keep you occupied. Imagine waking up to the beach at your door step. It might have been a dream before, but book our Dream Beach, and it becomes your reality. A plush bed, flat screen TV, walk in shower and free Wi-Fi complete this cozy space. Did we mention the direct beach access from your room? Eat: Who said breakfast is the most important meal of the day? Not us. At Eat, every meal is equally important. Open-plan yet intimate, our all-day dining concept serves you fresh, fast and nutritious menu options inspired by healthy home cooking. Need a quick morning jolt? An EAT2GO breakfast Boost with juice lifts, caffeine hits and healthy snacks gives you the perfect start to the day. We even have an EAT2GO grab and go, where you can pick up a quick bite, anytime. Stacked: A contemporary new restaurant concept open daily from 4 pm. for late afternoon cocktails, dinner and evening entertainment. Introducing Stacked, our in-house contemporary diner. Brought to life with the creative touches that only the chefs at OZO Chaweng Samui can provide, our take on modern comfort food stacks you up for an adventurous evening out or relaxed night in. Think the night still young? Stop by, have a few signature cocktails and chillax. Pool Bar: Clear blue sky. Palm trees swaying. Cool drink in one hand, home-made slice of pizza in the other. For us, it's the perfect way to zone out. Don't believe us? Try it out. You won't just like it, you'll love it. You're only in Samui for a few days and you've got tons of things to see, eat and do. You want to get going, not wait around. At OZO Chaweng Samui, we've designed an entire hotel experience to help you make the most of your time. Patience may be a virtue, but you won't need it here. You'll just be leaving with the satisfaction of being able to try everything you wanted to, when you wanted to. Our Services and Facilities ensure that. Tone Fitness Room: Had one too many crab cakes? Went for seconds on that Tom Yum Kung? Don't worry- you're on holiday! But, if you feel like working out, then Tone is just what you need. We've got all the right equipment for you to get that adrenaline pumping. Splash Swimming Pool: Beat the afternoon heat with a cooling splash in our free-form swimming pool or laze the day away on our sun loungers. The choice is yours. How about the kids? They get their own pool to play in too. 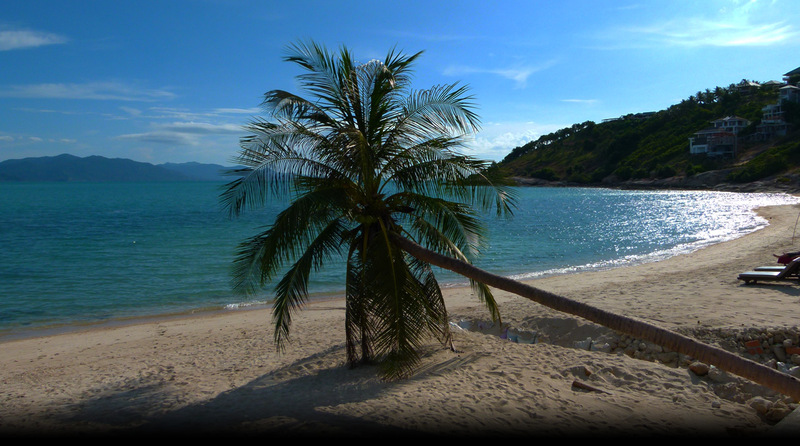 Located on Chaweng Beach Road, OZO Chaweng Samui is set on an amazing stretch of Samui's coastline. 15 minutes from Samui International Airport and a short stroll to central Chaweng, we're far enough to get away from it all, yet close enough for you to be part of the action. The Nathon Pier for access to nearby islands is also just 30 minutes away.